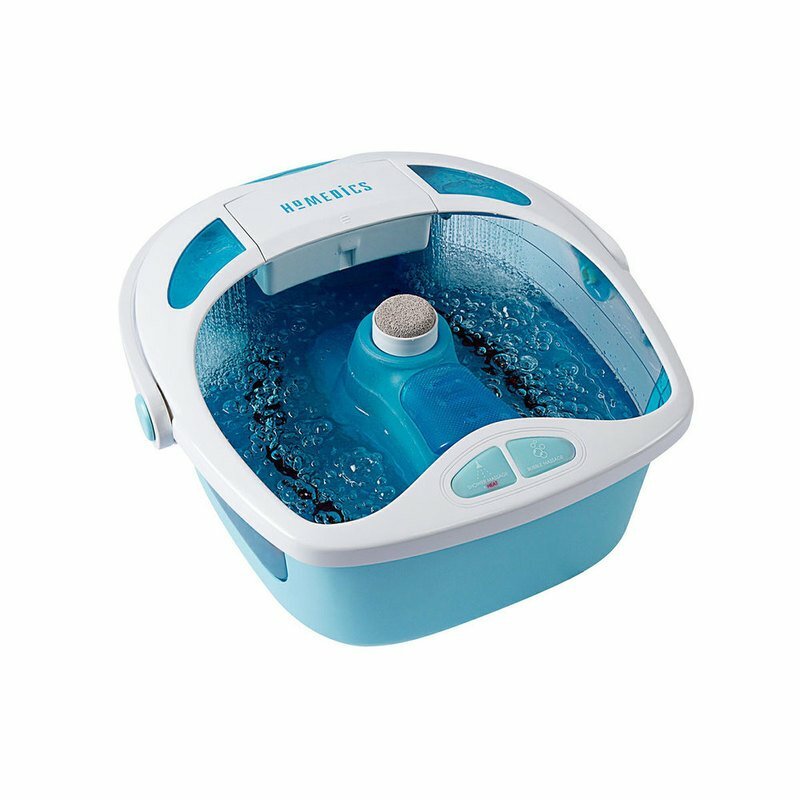 The HoMedics Shower Bliss Foot Spa with Heat Boost Power delivers an experience like no other. 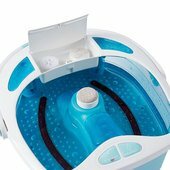 Shower massage jets revive tired feet, while massaging bubbles gently soothe. Finally, an acu-node surface provides additional massage to the bottoms of your feet. Heat boost power heats cold water in minutes and maintains the temperature throughout use. The pedicure center includes three attachments; pumice, pumice stone, cleansing brush, and massaage roller. 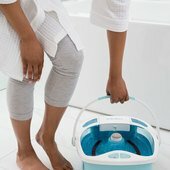 Includes an on board storage compartment to keep attachments organized, as well as an easy tote handle for safe transport without spills. Toe touch controls make it incredibly simple to use.